Total Vision Care (San Diego) - Book Appointment Online! Our goal is to familiarize you with our office, our doctors, and the services we provide. Our mission is to "Preserve Vision Throughout Life" for each patient we care for. Our capable and well trained staff can help you understand what you can do to protect yourself from loss of sight as well as care for today's vision needs! Please call us or visit our website for more information! 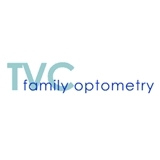 It is our sincere goal to provide you and your family with the best eye care available. We look forward to showing you our total vision care concept: one team working together to meet all of your vision care needs. Very personable and professional. I would absolutely recommend to anyone!